About the latest album, "Equilibrium IX"; people already said about the previous album there were a lot of eighties' metal influences on the album and I think it's especially true for the new album - do you agree? Samoth: Yeah, well, I don't think there is any direct influence, but of course we're all into the eighties' metal, so... Several people say that they can hear Morbid Angel-things and Mercyful Fate stuff in it... and so. About the production - you changed production studios and it had a big influence on the sound... So why did you want to change the sound? Samoth: Well, we felt like that Grieghallen didn't really have much to offer anymore for us and we weren't that satisfied with the production of the previous album, so we decided to try a new studio and also work more creatively in the studio with the sound. I think the latest releases from Grieghallen weren't that good... I mean they do have some real classics like "De Mysteriis...", "In the Nightside Eclipse" and the Burzum albums, and stuff like that....It's not so much that we want to get rid of the 'standard black metal'-label, but because we want to try a new sound and also, we wanted to use a local studio, because we had booked three months in the studio - it's a small inconvenience if you just can't go home after a day of recording. The bass player, Alver, he left - why was that? Samoth: Well, eh... I guess we demanded more from him than he could give us... He was also very busy with his job and he couldn't rehearse as often as we wanted him to, so.... he decided... I mean, he would have to really rehearse a lot more to get up to the standard for the new album.. so there are no hard feelings or anything - it was a mutual agreement that it's best that he would leave. So now we have a new bass player... Introduce yourself and have you been in any previous bands? Tyr: My name is Tyr - that's the Norse God. In my project band I also use this name - it's my artist's name. I've only played in amateur bands and stuff like that. So, you were friends or anything? Samoth: It's the biggest metal magazine in Norway. Tyr: ...and they had placed an ad. So I auditioned; we played a couple of songs and I got the job, on the spot, so. So how do you like it to play in metal legends Emperor? Tyr: I love it, yeah!! I come from a different scene, you know... This is the first black metal I have ever played. I am used to playing more progressive stuff - things like Dream Theater and stuff like that. But I must say there are progressive parts in the Emperor material as well... Actually I would like to say, that I am on a Fates Warning tribute album, it's coming out on a label called Planet Circus, a newly started American label - with my project band Morpheus Web and we're playing "The Sorceror" on this one. I think it should be released around May or June . Is there a huge progressive scene? I believe August (former guitarist of Arcturus, member of Tritonis) plays in a progressive band as well? Tyr: Yeah, Tritonis...They're a really good band. Samoth: We've played with them as well a couple of times. About the record company: Candlelight. I was thinking, you have a very succesful label yourself, why not put Emperor on Nocturnal Art Productions? Samoth: Well, for starters, we were committed to Candlelight Records, by conference... After "Anthems...", we wanted to change label.. and we were actually trying to get out for a while, but then things really changed with Candlelight - they kicked out the old label manager plus they get both fifty percent of the label and for the new album all has been going pretty well. I don't think we're actually going to stay with them in the long run, but we're going to do at least one more album for them... because they treat us pretty good and we get good royalty rates and they have done a really good job for the new album. So things really progressed. We have been with Candlelight for so many years now, so we know the guys really well and they treat us... - we are their first priority, so it's cool. But we have got offers from bigger labels like Nuclear Blast and Century Media as well - we are discussing with these labels as well, but we'll see for the future. Don't you think that if you sign to Nuclear Blast you will be 'just another black metal band' on the label? Samoth: No I think that if they would sign us, they would give us pretty good priorities. Samoth: Naah, I think they would still have pretty good priority, I mean they're doing really good as well, so. OK, well how is your label Nocturnal Art going? Samoth: I don't think so, I mean, I really like the guy.. he's a really cool guy and he has some cool ideas, but I mean it's impossible to sell this... I mean nobody buys it - it's too weird so people don't understand it. So you had your first producing experience, I believe... How did that work out and can we expect more of you in this field? Samoth: Yeah, I was in the studio with Mactätus. I wasn't really the complete producer, it was recorded in the same studios as the new Emperor album, so it was the engineer who really did the producing, but I came in the room during the mixing process just as an objective ear to the sound. They we're satisfied...I don't think that I can do a full producer job by myself. I can like... - I've heard so much of this genre, so I know what's good and what's bad and what can be improved and stuff like that... I don't think I am the right person to do it really. I mean I don't have any technical background. Faust, when he get's out of prison, will he go back into Emperor? ... maybe a sequel to Zyklon B...? About Emperor. What is more important - the music or the philosopical side, the ideas behind the lyrics, that sort of thing? Samoth: I would say the music.... but with Emperor it's important to have all the talents, you have the whole thing - you have the covers and the lyrics and the music and the whole thing has to be like one artistic expression. But music is the main thing. Samoth: Especially in the older lyrics. It symbolizes several things...It can symbolize like eh...the Devil, I guess and it also symbolizes a mighty power ...the whole sound of Emperor is a mighty sound. It's like a matter of interpretation...I think the Emperor lyrics are like - there's a lot up to the listeners to make up their own imaginary world. We don't have a direct thing, like it's like this. What does it mean to you? What does Emperor stand for to you? Samoth: I would say it means might, something mighty. Do you know anything about the philosophies of the guys from Morbid Angel and what do you think about it? Samoth: I don't know to much, I think they've changed a bit since David Vincent left. So it's more back to the basic Cthulhu mythology and I don't know to much about that, but it's kind of interesting. He has some quite good ideas, this Azagthoth. Do you prefer the period when David Vincent was still there? Samoth: Well, I very much like them now - I liked their last album, but I think they were even better live than on CD. But I mean they are an excellent band. Samoth: We didn't party or anything, but we see them every day, so.. They're cool guys who treat us OK - they don't behave like rock stars or anything. Do you listen to any recent black metal stuff yourself, or is it just the old classics? Do you have a lot of friends in black metal scene? You decided not to wear corpsepaint because it became a trend, is that true? Samoth: We just felt like doing our own thing and it wasn't really because it became a trend, but just because we don't want to be like everybody else. When we first started out, we were pretty much like a standard black metal band, but these days, we are... not a standard black metal band so we don't wanna appear to be like just a typical black metal band. But I mean we still use some paint live and stuff and it's still important to have a 'performing image', but the average corpse paint is not so suitable. We just have white faces and look a bit pale.. It's just a show element. Cradle of Filth have expressed their respect for you in the press, more than once and you've toured together a long time ago - are you in touch with those guys and what do you think about them? Samoth: I've met them a few times and we get along fine, so I mean I don't have any problems with them at all. I think they're, especially Dani of Filth, he's like a media bug, he's always in the media, whatever there is - but that's their thing. Lots of black metal fans say: Oh, CoF - everybody is listening to that so that's..
Samoth: It's very much a black metal thing. I mean bands like Cradle of Filth and Dimmu Borgir are being hated a lot, but actually those bands are professional bands with their own decisions and a lot of people say it just to put them on and that's just crap. Samoth: I think they do what they want to do. So I don't think they've just changed their music to become more popular. I mean just listen to the new Dimmu Borgir - I mean a lot of people complain that Dimmu Borgir should sound like their first album, while their first album was really soft and really crap, while their new album is much more brutal. And Cradle of Filth as well, they haven't become any softer either. What do you think is the destinction between confidence and arrogance? Tyr:...just don't let it go to your head and stuff like that. I think you can actually spot the difference when people just turn arrogant. I think I myself not being arrogant. To put it a little more in a context: you made a few remarks during interviews that you thinkt the large part of the black metal scene is totally crap. There might be a lot of people around who think that's an arrogant remark. Samoth: Yeah, probably, but I mean if it's so, then I am arrogant towards some people, but I think a lot of people are crap, not only in the black metal scene and if that makes me arrogant to them, OK, then I am arrogant. But I don't really look on myself as being a complete arrogant person, really. Tyr: This is obviously a matter of a personal opinion. Everybody has a different taste, so... Of course, those are strong words, but - for a part it's wrong and for a part it's true. 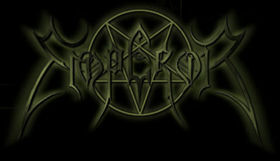 The musical aspects and their music is probably not as good as other bands, like Emperor I think. What about the former members, like Ildjarn? Is he still working on his own project, Ildjarn? Samoth: Well Ildjarn is... I see him now and then. He has a new band - it's a keyboard kind of thing - more atmospheric music, but I don't see him that much. He's a pretty weird guy. And our old drummer [Thorbjørn - ed] is actually our sound engineer for our latest album. For a while you were in many different bands, for a short while - will you do that sort of thing again? Did you leave Emperor to join Burzum in '92? Samoth: I don't have the time anymore. At that point we had no drummer with Emperor and everything went really slow. So I just had to play something and I joined Satyricon and I played with Gorgoroth and stuff like that. It was just because things was going really slow with my main band. I've never left Emperor. All I did with Burzum was being in the studio for a few hours to do the bass and do drums. Samoth: I think it's excellent, especially... they made a remix album now a well of the previous album. there's a lot of weird beats and drum and bass samples on it. It's coming out in April, on Garm's label Jester, the same as Ulver. I had heard that they had split up - is that correct? In the "Reverence" video there is a line, "Honour commanded no longer as virtue", it's part of the lyrics, but it's shown in words on the screen. Why? It seems like an unobvious statement for Emperor. You used to state that honour was really important. Samoth: It is important to have honour in what you do and it's important to honour and respect the people you ...respect. Then it would be a virtue, wouldn't it? Samoth: Well... what was the line again? But it is Ihsahn's lyrics, so it would be better for him to explain it in a bigger complex, but I think it has to do with people not putting pride and honour in what they do anymore. People just don't care about nothing. Samoth: I still have an anti-christian attitude, but it's not something I think that much about these days, anymore. I don't really bother that much about Christians, they're not a big problem for me in my personal life. But to me it's just as normal as eating breakfast to be anti-christian, so I am. There have been times that you had more radical views, for example what did you want to achieve with the church burnings? How did the jail sentence influence you as a person and as a musician? Samoth: Well, I had a lot of time to be for myself for once... But I think of the whole thing as a good experience. I think actually for a lot of people it could do good to be in prison for a while. It kind of puts your life into the good perspective and it's kind of interesting to see life from a different perspective. To be in prison it was totally meaningless - that's the whole point of being in prison: to take away the joy of life and lock you in for a time. Tyr: You made the instrumental in prison. Samoth: Yeah, "The Wanderer" from "Anthems...", that was made in prison. And that's completely different from what I usually write. You had a guitar in prison? So we might expect more Dissection material as well - as Jon Nödveidt is allowed to have a guitar in prison. What do you think about this whole case? Do you feel any remorse about the churches and stuff? Do you feel any remorse at all about things you do in life? Samoth: I mean, I do have feelings of course, but I don't see any point to regret the things I did. I'd rather see it as an experience and learn from an experience rather than "Oh, why did I do that - if I would have done differently..." there's no point. It's not some code of honour not to feel remorse? Samoth: No. It's just a waste of time to feel remorse. I see no point in it to regret the things I've done. I mean you just bring yourself down by feeling too much remorse. What happens, happens - you can't change the past, so. In an interview you made this statement that "you have to be a ruler and think for yourself" and in an interview with your wife Nebelhexe, she made this statement that the Count had had this big influence on you and that he had got you involved in the church burnings - how do these statements match? Samoth: Back in '91 and '92 all the people in the so called Black Metal Circle or whatever, were pretty young, so we all were pretty easily influenced. And Vikernes was also very influenced by Euronymous, in the first place. So I think a lot of the stuff that happened back then.. it was like: everybody had extreme ideas and everybody just wanted to be more and more extreme and we all got influenced by each other. And of course Vikernes, he has a very strong personality and he was the one who started with all the extremes, like actually going out and doing it in practice, so I guess he was influential to a lot of peolpe. Was it an important reason to join Burzum - because you were looking up to him? Samoth: Well I mean, I respected Burzum and I saw this like an honour to join something I respected, but it was not: Wow, I'm playing with Varg Vikernes or something. Samoth: Yeah, he's been living in Sweden for many years, actually. I don't see him often, but his parents are just living a few blocks away. We phone now and then, and the whole is coming along just fine. Concerning his departure, he had a bit of an attitude back the, I guess. And he and Faust also didn't get along that well so it was best thet he would leave and for a while it was maybe a bit touchy, but now it's completely good. Samoth: Well the most immediate future plans is to finish this tour and we have a gig in Norway in May and hopefully we're going to do some more Scandinavian shows in Sweden and Finland...We have an offer for the Dynamo-festival in Holland as well, but I mean so far... I would like to - I wanna play a lot more live, but I mean, not everybody in the band is too keen on playing live, so we have to make comprimises. So we are probably going to do an American tour in the summer for three weeks with Dimmu Borgir - that should be a good experience I think. We' re starting to do pretty well in America as well now. Comparing your first gig in Holland in 'de Baroeg' in Rotterdam and the one tonight, I think you have really improved a lot. What do you think yourself? Samoth: Well that's good to hear. We can still improve a lot I think. I mean when I watch these guys of Morbid Angel, I go: 'Wow, these guys are really good.' I just hope we get the opportunity to play more live and I don't know, improve our live act. Samoth: That's difficult. With Emperor we usually make the material for one album and we don't think too much ahead. The latest album has been doing well like all albums and better than expected. In the beginning I guess and we try to support the album by playing live and get more professional. So for the new album we have no new material, really nothing... and Ihsahn is also pretty busy with Peccatum and Thou Shalt Suffer. Peccatum will start working on their 2nd album when the tour is finished. What do you think of Peccatum? Samoth: I think it's a good album, but I mean it's not an album I wanna play myself on. I think it could have been a lot better with a much stronger production. The production is weak. Tyr: I think it's... the drum copmuter, I prefer the live drummer feel. ?Samoth: Limbonic Art is a band in which I like the use of a drum computer. They do it in a special way. They don't pretend, like... they don't to try to get it to sound like a real drums, they just use the opportunities they have with a drum machine. Samoth: Yeah, I think Peccatum is actually better live than on CD. Tyr: Better singing... more powerful. They have this session guitarist. Didn't Ihsahn consider you to play the guitar for Peccatum? You wouldn't want to do it? Samoth: Well, I'm not sure if I could do it. I mean some of the stuff is pretty like... technical. I am not adepted to all this technical stuff. I think Peccatum is more technical than Emperor actually. There have been a number of books coming out lately about the years 92-93, like for example "The Lords of Chaos" - is there basically any truth in these books? But you wouldn't want the whole scene to turn back again to like it was back then? Samoth: No, I mean the whole scene has changed and I think people think more individually these days and just do what they feel like and are more honest about themselves and I think that's a good progression. I think it's a bit stupid to think that, "now we are grown up and are descent guys" - that'd seem silly in a way, but I mean back then we were very young and it was kind of obvious that we would have to change. You don't stay eighteen forever. But I am totally respectful to Darkthrone who still represent the essence of true Norwegian black metal, I guess. What is Darkthrone doing these days then? Isn't Fenriz to busy with his other activities - I heard his deejay-ing in some club? Samoth: I think they actually are getting back together and doing an album this spring. They even have booked a studio and anything. It's true, he's deejay-ing, but he's changing all the time so all of a sudden is like: "OK, we're doing a Darkthrone album now and that's what I do." What is it with all the cover albums you're participating on? Is it just good fun? Samoth: Well, we get so many offers. So we say like: OK. We have plenty more offers as well, so we just thought like.. when we were in the studio for the new album we recorded a Mayhem one, we did the Thorns vs Emperor, we did a Darkthrone one, so when we are in the studio it's no big deal to just do a cover as well. I also heard you tried out the new studio by recording over tracks. Was the Hellhammer track the first to be recorded there? Samoth: Yeah it was kind of like that in a way to check out the studio and make sure it was good enough. No, the Hellhammer song wasn't recorded there. It was recorded in our old rehearsing room, just on a four track recorder. We just did that on an evening, we didn't even have a drummer at the time - we just had a guy from Gehenna [Dirge Rep, ed], coming down for a weekend and we said, OK let's do a cover, now and we just did it and they put it out. What do you think of the fact that bands from Italy and France are using Norwegian lyrics? Samoth: Well. I think it's pretty comical. Samoth: Well most of the time they don't make sense. A lot of these countries have quite interesting mythology themselves, so why not use those? Any small bands you could recommend us? Is there anything you would like to add before closing off? Samoth: Not really... these carrots are good, that's my final comment!